If you want to keep your little fluff ball in the pink of health then one of the things that you are going to need to do is to worm them regularly. 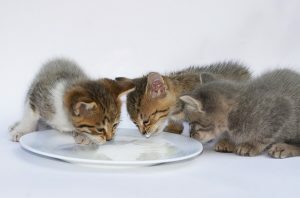 While this may seem easy enough, it does mean that you have to figure out which dewormer to give your kitty. This is where it can get a little tricky. See, there are a lot of different brands out there but not all of them are effective enough to get rid of a worm infestation. So, how do you know which one is right for your kitty? Well, the good news is that you don’t have to spend too much time pondering this question. 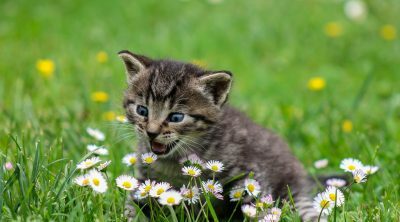 In this guide, you will be able to quickly figure out what cat dewormer is most suitable for your kitty. 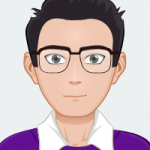 You will also be able to see an in-depth review of what some of the best products on the market are. Now, cats can be infected by different kinds of worms. The most common culprits are tapeworms, hookworms, pinworms, and roundworms. This is important because, in most cases, dewormers will target specific kinds of worms. Therefore, you need to make sure that you are giving your cat the relevant dewormer. Usually, you may be able to figure out the type of worm by going according to your vet’s diagnosis. Or, the symptoms may be clear cut enough for you to figure out what kind of worm has infected your cat. In this instance, it is just a matter of giving your cat the proper dewormer. 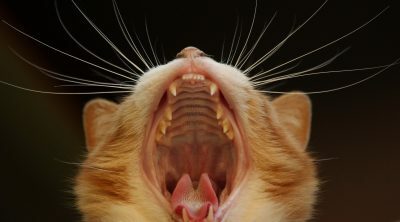 If you aren’t certain, though, or you are fearful of multiple infestations, then you may want to give your cat a broad spectrum dewormer. As the name suggests, this type of medication targets a wide variety of worms. So, regardless of what your cat has, this dewormer should be effective against it. However, to be on the safe side, you should always check with your vet first. This will prevent you from giving the wrong medication to your cat. When selecting a dewormer, effectiveness can be key. Remember, a worm infestation can be rather serious, especially if your cat is very young or has a compromised immune system. Therefore, you need one that will take effect very quickly. This is why it is a good idea to stick with a medication that has been proven to work. Look for brands that you are familiar with or that professional vets have recommended. By focusing on these, there is a greater chance of your cat recovering more quickly. One of the decisions that you will need to make regarding your cat dewormer is what form to get. Typically, you can choose between liquid and pill. Now, as long as you opt for a good brand, the effectiveness of these medications should be the same. So, the choice will eventually come down to what your cat is more receptive to. If he or she has trouble taking pills, then the liquid may be an easier route. On the other hand, pills do have the advantage of being quicker to provide to your kitty. 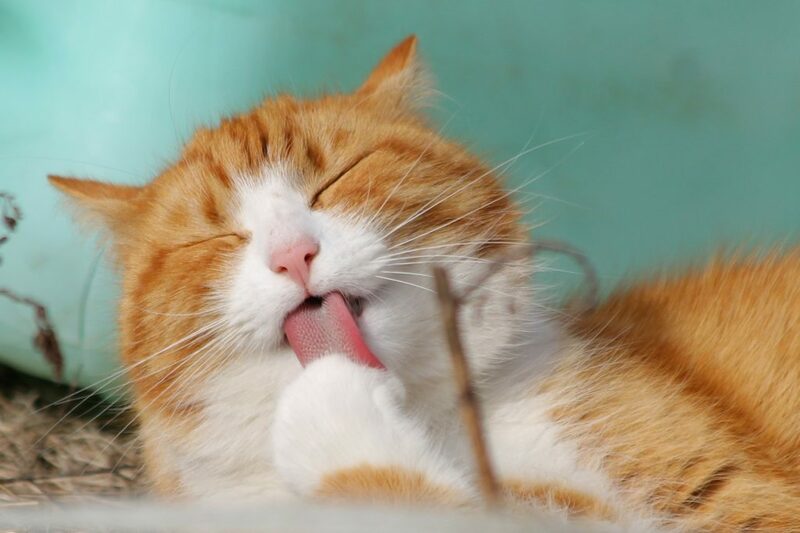 It is important to be aware of all of the side effects associated with each type of cat dewormer that you want to buy. If you aren’t certain about a particular medication or an ingredient, it is best to check with your vet. Ideally, you will need to select a dewormer that has the least risk of side effects. At the same time, it is important to monitor your cat after dosing him or her. If you notice any behavior or symptoms that are unusual, it is a good idea to consult a vet to determine whether or not you should continue with the medication. There really is a lot to like about this dewormer. To start with, it is effective against tapeworm and roundworm. 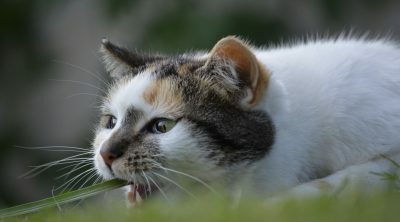 So, if you want to make sure that your outdoor kitties are worm-free, this is probably one of the best ways to manage it. This medication isn’t just versatile, though, it is also incredibly effective. After a single dose, you will be able to see that your kitty is doing better. So, you can virtually guarantee that your cat will be free of their worm infestation within a short period of time. In fact, the company has a thirty day, money-back guarantee on this medication. Another benefit is that this medicine is quite safe for your cats to boot. Not only can adult cats take it but it can also be given to kittens as well. There is practically no risk involved considering that this is a well-reputed brand. One of the trickier aspects of this dewormer is the fact that the pills are rather large. So, if you have a bigger cat and need to give them an entire pill, you may find that it is no easy task. therefore, you will be forced to get creative with your methods. If your cats have pinworms, then this is a dewormer that you should consider giving to them. It is in liquid form and the taste isn’t too bad. So, as long as your cat isn’t overly fussy, this medication should be fairly easy to administer. Now, it should be noted that this medication works for humans as well as pets. On the one hand, this is certainly a positive thing. You can be quite sure that this is a dewormer that works. All it will take is a single dose and your cat’s pinworms should be a thing of the past. The other advantage is that you can be sure that the medication is safe as well. Since it is of human grade, there has been a great deal bit more care going into the production of the medication. Therefore, it is unlikely that your kitty will experience any negative effects at all. At the same time, all of the instructions for the medication are for humans. So, it can be rather difficult to figure out the correct dosage for your cat, based on his or her weight. In many cases, you may find that a trip to the vet is in order t to identify the correct dosage. Want to make sure that the job gets done in one fell swoop? Then, you should definitely consider this dewormer. One of its main features is that it is a broad spectrum dewormer. As such, it is more than capable of killing of any worm infestation that your kitty may be infected with. Adding to this is the fact that this dewormer is incredibly effective. In fact, it may be argued that this is one of the better medications on the market. Not only does it work, but this dewormer takes effect rather quickly as well. So, you should be able to notice your kitty getting better in a rather short period of time. The pills are suitable for both adult cats and kittens as well. You can actually give this to a kitten that weighs just 1.5 pounds or is around one month old. At the same time, all of this versatility does come at a cost. This dewormer can be quite expensive and may not be worth it for a household with just one or two cats. You shouldn’t have too much trouble administering this medication to your cat. The pills are on the smaller side so you may be able to get them to swallow it relatively easily. The pills are also scored so you can split them without any issue. This liquid dewormer can only help against roundworms. So, you will need to be certain that you know exactly what your cat is infected with, before giving it to him or her. The good news is that this dewormer is quite effective against these worms. So, you should be able to see results fairly quickly. Now, it should be noted that this dewormer needs to be administered again. So, two weeks after the first dose, you will need to give your cat more. This can be a little frustrating if your cat doesn’t take medication all that well. Fortunately, there are a few different ways that you can administer this dewormer. If your cat isn’t too fussy, you can give the medication as is. If not, you can mix the dewormer in with some food and administer it this way. Another piece of good news, though, is that this medication works on kittens and cats alike. 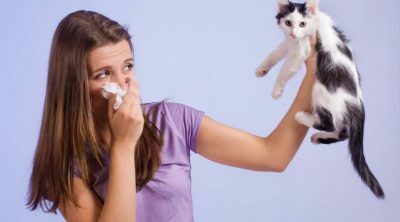 As long as the kitten is older than six weeks and is healthy, you should be able to administer the dewormer to him or her. The medication is quite safe so there is no need to worry about side effects at all. If you don’t want to spend too much on your dewormer, then this is an excellent product for you. It isn’t just cheap, though, and the medication works to get rid of any roundworms that your kitty may have. You should know, though, that this dewormer is only effective against roundworms. Despite being effective, this dewormer can be a bit slow to work. 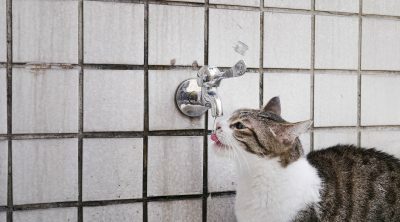 At the same time, you need to give your cat an additional dosage in two weeks’ time. So, giving this medication can be a bit more troublesome than some of the other options on the market. 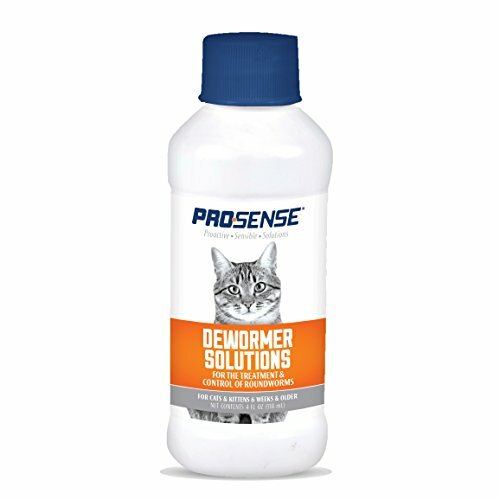 If your cat only has a mild worm infestation, then this dewormer may be more than suitable. You will also be pleased to learn that this dewormer is actually safe for your cats as well, as long as you stay within the recommended dose. To add to this, it can be given to kittens older than six weeks. 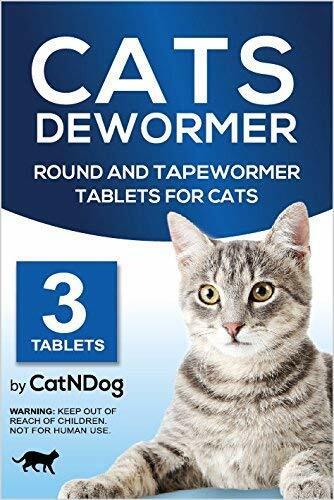 So, if you have multiple cats at home, you will find that this dewormer is equally as effective for all of them. For the most part, the cats respond to the taste of this dewormer rather well. Even if you have a finicky cat, you may discover that you have an easier time trying to get him or her to take this dewormer. 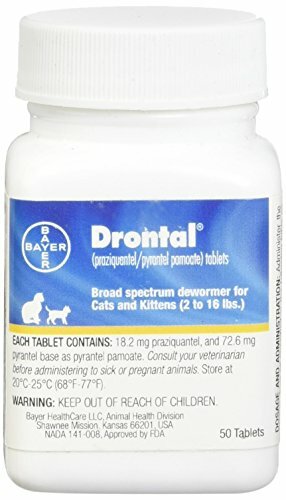 Pyrantel Pamoate is a generic brand but this shouldn’t dissuade you from using it to deworm your cats. The reason that you can be confident with this medication is that it is meant for both humans as well as cats. Therefore, you can know that it is completely safe to give to your cat. Since it is meant for humans, though, figuring out the right dosage can be a bit tricky. This is especially true if your cat doesn’t weigh all that much. You may have to speak with a vet to determine what the right dosage for your cat is. As long as you stick with this, there should be no issue. This medication isn’t just safe for your cats, it is also incredibly effective as well. With a single dose, you should be able to notice a marked improvement in your kitty’s health. Not to mention, it also works rather quickly so you can get rid of the worm infestations that much more quickly. While your cat may not exactly find this medication tasty, they should take it without too much of an issue. Fortunately, a small dose can be quite effective with this suspension. All of the cat dewormers on this list are incredibly effective at getting rid of worm infestations. However, if there was just one victor to be crowned, it would have to be the CatNDog dewormer. This medicine is specifically meant for cats and suitable for cats of all ages. What’s more, it is incredibly effective, ensuring that the infestation will be taken care of after just one dose. Last but not least, it is very safe for your cat to consume. 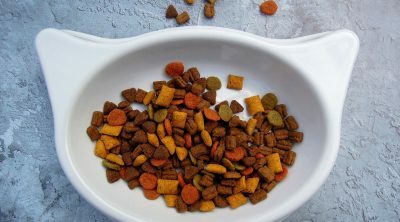 This guide should provide you with all of the information that you need to find the best cat dewormer for your kitty. After this, your only worry should be administering the medication to fussy furball!